LONDON - To read this sentence, you hold the words in your mind for a few seconds until you reach the period. As you do, neurons in your brain fire in coordinated bursts, generating electrical waves that let you hold information for as long as it is needed. But as we age, these brain waves start to get out of sync, causing short-term memory to falter. 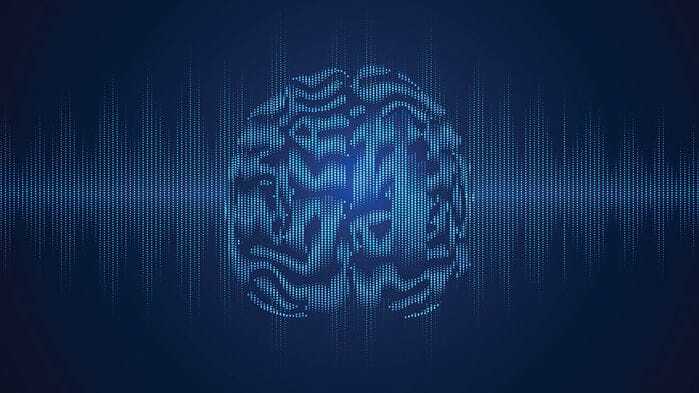 A new study finds that jolting specific brain areas with a periodic burst of electricity might reverse the deficit—temporarily, at least. The work makes “a strong case” for the idea that out-of-sync brain waves in specific regions can drive cognitive aging, says Vincent Clark, a neuroscientist at the University of New Mexico in Albuquerque, who was not involved in the research. He adds that the brain stimulation approach in the study may result in a new treatment for age-related deficits in working memory. Working memory is “the sketchpad of the mind,” allowing us to hold information in our minds over a period of seconds. This short-term memory is critical to accomplishing everyday tasks such as planning and counting, says Robert Reinhart, a neuroscientist at Boston University who led the study. Scientists think that when we use this type of memory, millions of neurons in different brain areas communicate through coupled bursts of activity. “Cells that fire together, wire together,” Reinhart says. But despite its critical role, working memory is a fragile cognitive resource that declines with age, Reinhart says. Previous studies had suggested that reduced working-memory performance in the elderly is linked to uncoupled activity in different brain areas. So Reinhart and his team set out to test whether recoupling brain waves in older adults could boost the brain’s ability to temporarily store information. To do so, the researchers used jolts of weak electrical current to synchronize waves in the prefrontal and temporal cortex—two brain areas critical for cognition—and applied the current to the scalps of 42 healthy people in their 60s and 70s who showed no signs of decline in mental ability. Before their brains were zapped, participants looked at a series of images: an everyday object, followed briefly by a blank screen, and then either an identical or a modified version of the same object. The goal was to spot whether the two images were different. Then the participants took the test again, while their brains were stimulated with a current. After about 25 minutes of applying electricity, participants were on average more accurate at identifying changes in the images than they were before the stimulation. Following stimulation, their performance in the test was indistinguishable from that of a group of 42 people in their 20s. And the waves in the prefrontal and temporal cortex, which had previously been out of sync in most of the participants, started to fire in sync, the researchers report today in Nature Neuroscience. No such effects occurred in a second group of older people who received jolts of current that didn’t synchronize waves in the prefrontal and temporal cortex. By using bursts of current to knock brain waves out of sync, the researchers also modulated the brain chatter in healthy people in their 20s, making them slower and less accurate at spotting differences in the image test. “This is a very nice and clear demonstration of how functional connections underlie memory in younger adults and how alterations … can lead to memory reductions in older adults,” says Cheryl Grady, a cognitive neuroscientist at the Rotman Research Institute at Baycrest in Toronto, Canada. It’s also the first time that transcranial stimulation has been shown to restore working memory in older people, says Michael O’Sullivan, a neuroscientist at the University of Queensland in Brisbane, Australia. But whether brain zapping could turbocharge the cognitive abilities of seniors or help improve the memories of people with diseases like Alzheimer’s is still unclear: In the study, the positive effects on working memory lasted for just under an hour—though Reinhart says that’s as far as they recorded in the experiment. The team didn’t see the improvements decline toward the end, so he suspects that the cognitive boost may last for longer. Still, researchers say much more work has to be done to better understand how the stimulation works.